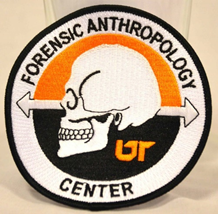 Join us for a presentation by the UT Forensic Center Staff to learn about this unique Forensic Anthropology Center – a national leader in its field. This facility is in the forefront of using an outdoor laboratory for the study of human decomposition as well as working to assist with law enforcement and crime-solving research. The Anthropology Research Facility is the first of its kind to permit systematic study of human decomposition. The 1.3 acres of land made famous by Dr. Bass recently expanded to approximately 2 acres. This addition provides space for studies using advanced technology to quantify how bodies interact with the environment. The skeletal collections provide unparalleled opportunities to study modern human skeletal variation, pathology and trauma. The hallmark of these collections is the Bass Donated Skeletal Collection that now consists of over 1700 individuals, the largest collection of contemporary human skeletons in the United States. TIME: The presentation will run from 2:30 – 4:30 PM. After a 2-hour presentation, people will have the opportunity to go up to the front to look, touch, and ask questions about the two skeletons that will be displayed. YOU CAN NOT PARK ON SITE. You will need to park at the hospital and walk over (could be 2 to 3 blocks). Plan to park your car by 2:00. Meet at the entrance by 2:15. A group dinner will be available for those that choose to attend at Smokey Mt. Brewery Maryville.